Let’s have some real talk about Florentino Perez’s recent comments on France Football about Karim Benzema: he is not the best striker in the world. Real Madrid striker Karim Benzema is having one of the best seasons of his career so far, the French number ‘9’ is feeling a lot more liberated now that Cristiano Ronaldo is not around and he has taken the leadership on the attack very seriously. This season has been a real eye-opener for all the people who failed to see just what an incredible talent Benzema really is, he is right up there with other historic strikers such as Thierry Henry, Dennis Bergkamp, or even Brazilian Ronaldo. However, president Florentino Perez made a terrible mistake by stating that the French player is the best centre-forward in the world when there are other great players in that position who clearly are better than Benzema. It’s not that we don’t like Karim, we just don’t even think he is a natural-born centre-forward. This distinction as the best in the world should remain between Harry Kane, Sergio Aguero, Luis Suarez, or Robert Lewandowski. Benzema does have a unique ability to score goals, but we truly believe that people do him a disservice by isolating him on that position. Karim Benzema is a player who displays a much greater repertoire than the other centre-forwards in Europe do, he can totally lead his squad to victory with decisive moments in the game but his contributions go way beyond only scoring goals. 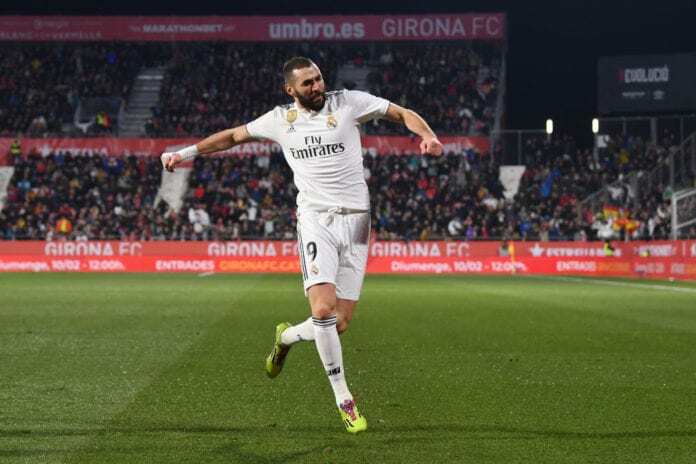 Even Karim Benzema has grown increasingly tired of saying this in public, he likes scoring goals but he really loves it when he contributes to a goal he didn’t score in which he was just as instrumental. There have been several moments on Karim Benzema’s career that have been beautiful to watch and there wasn’t the need for him to score a goal, we can remember that Champions League dribble against Atletico Madrid that became the head picture on every newspaper around the world. Karim shouldn’t even wear the number ‘9’ jersey, he should be wearing the number ’10’ and take the pressure off his shoulders. But the general public hasn’t helped Karim remain the player that he is, for some reason they demand that he becomes the centre-forward that he never really was. 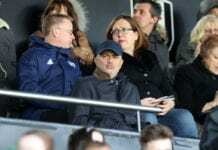 The former Real Madrid assistant manager backed Jose Mourinho, saying he would have been just as good as Zinedine Zidane is. Pressure like this is what can sometimes prevent players from reaching their full potential. A great deal of this responsibility falls on Florentino Perez, who has always regarded Benzema as his favorite player above everybody else, even Cristiano Ronaldo. When he first arrived alongside the Portuguese player, the president has always been close to him and he has never forgotten to mention him during interviews or public events. When there have been moments in which he hasn’t played under a certain manager, Florentino has always made sure to let the boss know that he wants Karim to have more minutes in the game. This added pressure that managers feel with Benzema have been negative for the player, mainly because he’s always felt the weight of the president’s watchful eye always expecting him to excel as a striker. We don’t even think Karim considers himself a natural striker, he actually thinks that he is more a playmaker than anything else but he rarely says it in public because of the label that already exists about him. Karim Benzema may not be the best centre-forward in the world like Florentino said, but he is one of the best players in the world without question. Why do you think Florentino Perez is so obsessed with Karim Benzema? Please share your opinion in the comment section down below. The manager has brought success to the Hornets, in a season that has seen them playing about what was expected from them in the English Premier League.